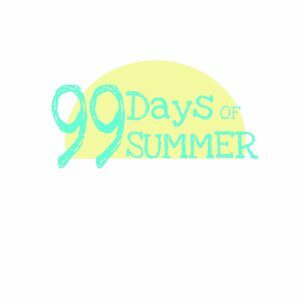 There are 99 days of summer. Here’s an activity for each and every one of them, one week at a time, starting with Memorial Day. May 28: Make plans with friends to go swimming to kick off Memorial Day, the unofficial first day of summer, or turn on the sprinkler and let the kiddos run wild. May 29: Off-price retail chains are a great source for high quality but affordable goggles, pool toys, towels and floaties. 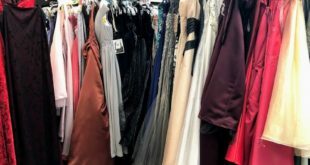 Make a quick visit and stock up for summer. May 30: No matter what you call it – popsicle, ice lolly, snowball or snow cone, piragua, or freezer pop, frozen treats are a win-win for everyone. 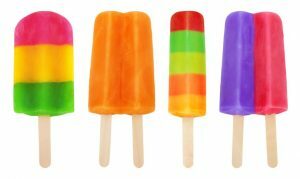 Grab an inexpensive popsicle mold at the grocery store or make your own out of small plastic cups and insert a spoon in the middle. Pour in some juice, place in the freezer and in a few hours and serve up some magic. May 31: Head over to your local library and take advantage of the awesome summer reading programs. Visit prattlibrary.org or bcpl.info for more information. June 1: is National Donut Day. 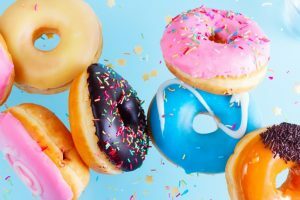 Head on over to Krispy Kreme, Dunkin Donuts or Duck Donuts for a free donut (restrictions may apply, so check with your desired vendor for stipulations, locations and details). If treats aren’t your thing, June 1st is also National Go Barefoot Day. Kick off your shoes, take a walk in the grass and make a plan to let your toes go au naturel as often as possible this summer. June 2: Warmer daytime temperatures and humid evenings might not be so welcoming to us, but it’s fantastic for lightning bugs, or fireflies. Be on the lookout for this summer visitor, and relish in the magic.